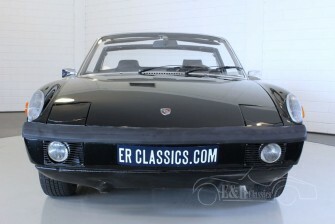 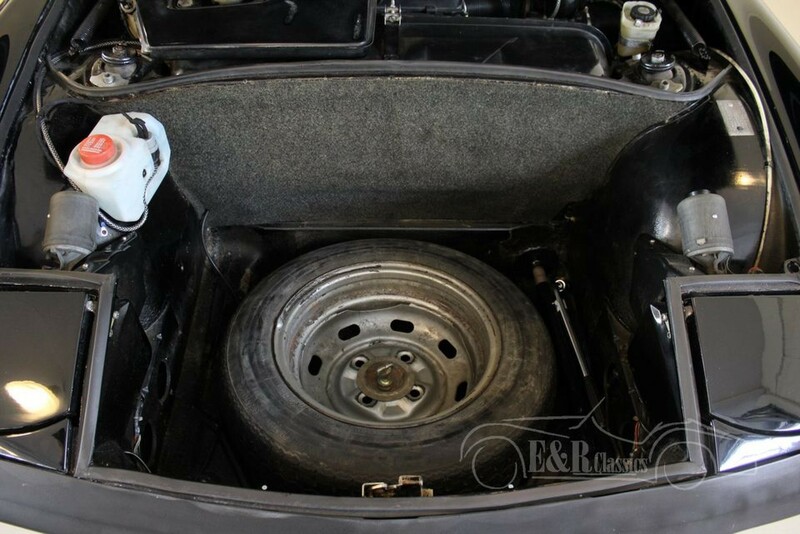 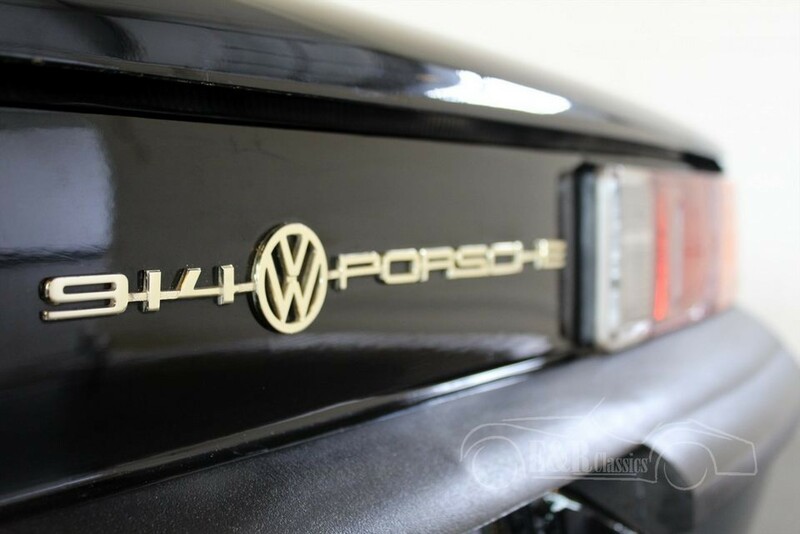 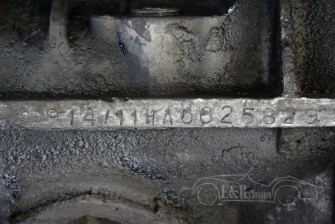 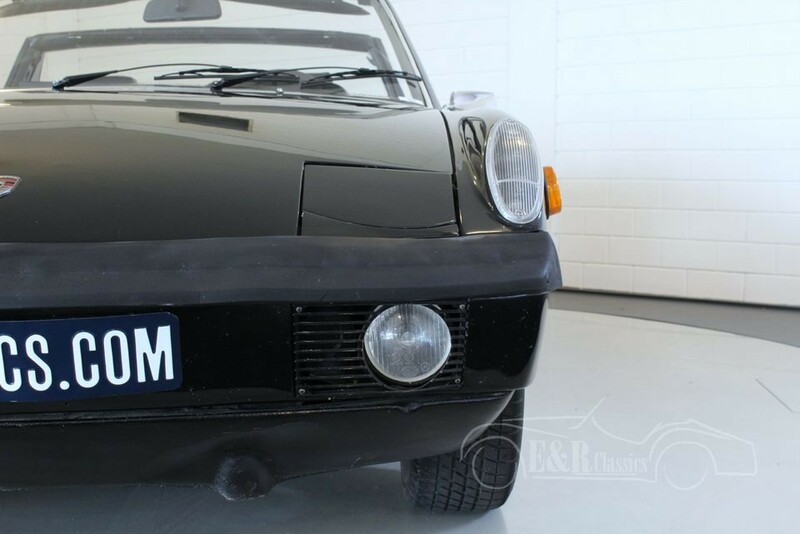 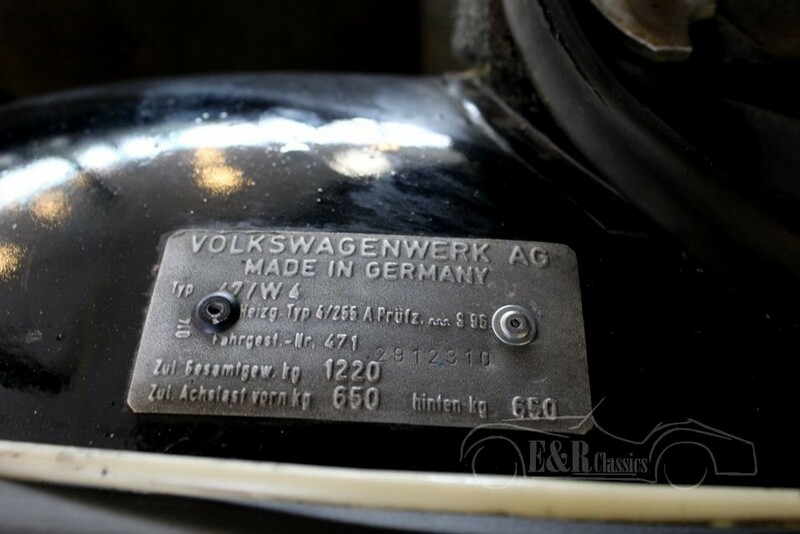 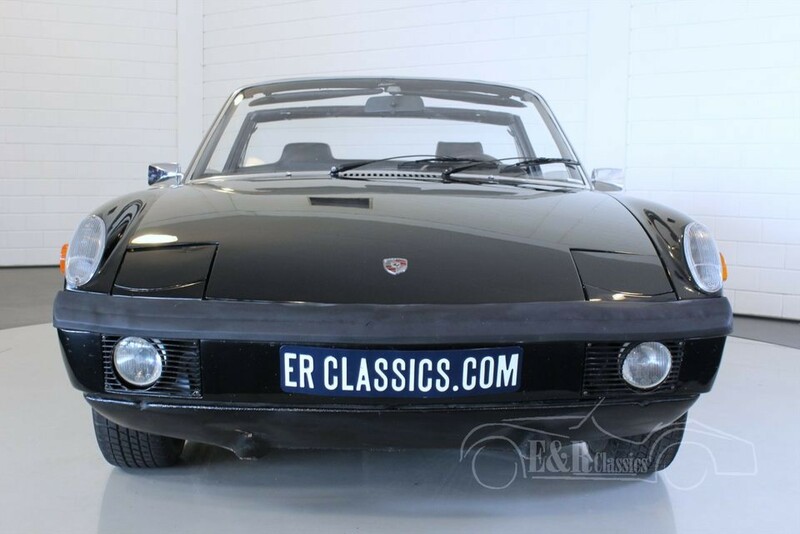 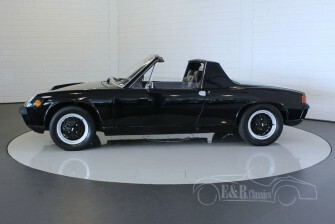 This special Porsche 914 was delivered in 1971. 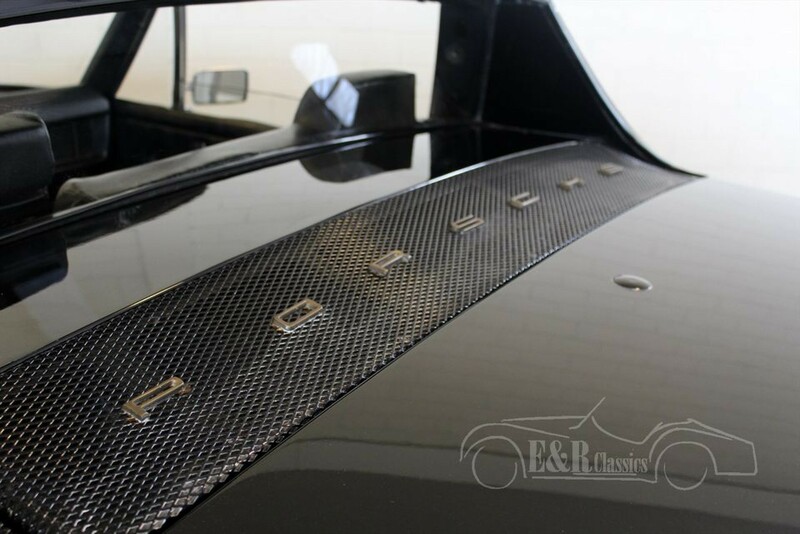 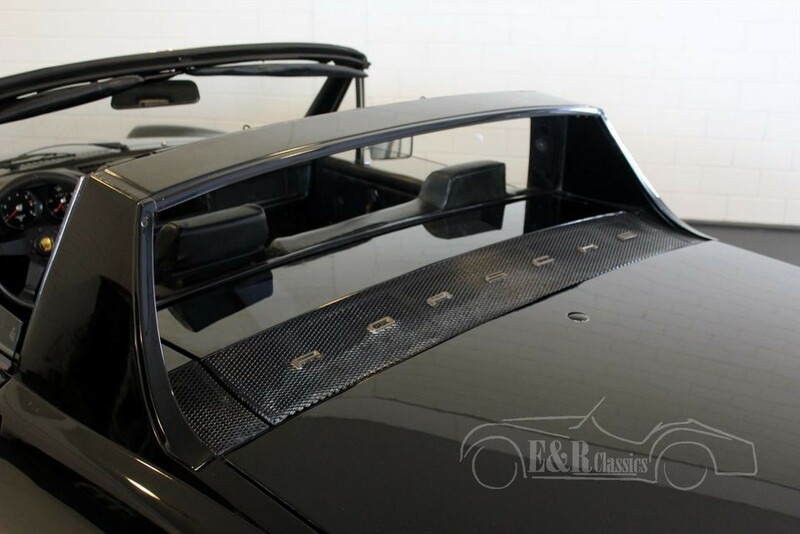 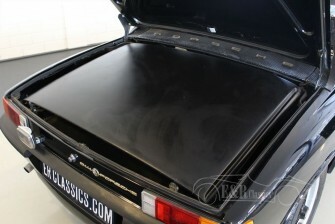 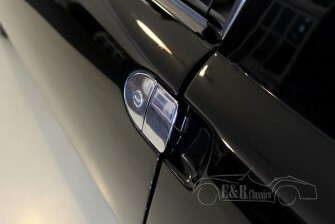 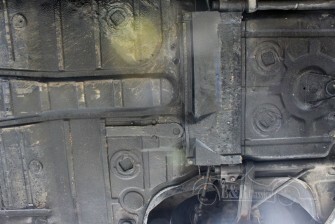 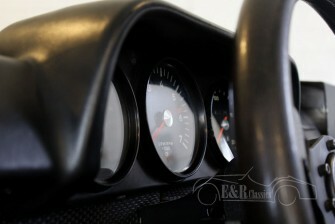 The Porsche has beautiful black paint and a Targa top. 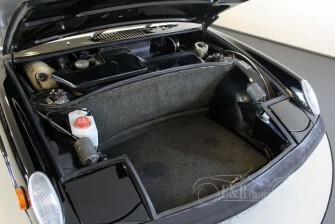 This top is easy to remove and fits in the car trunk. 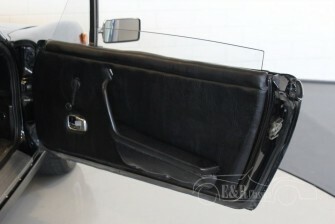 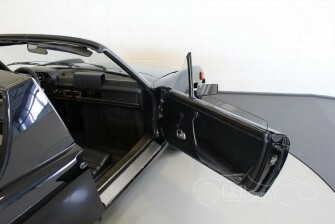 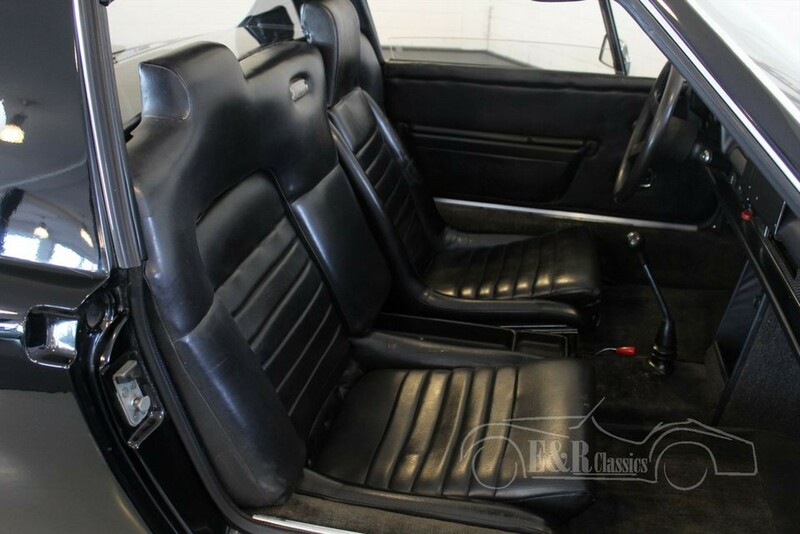 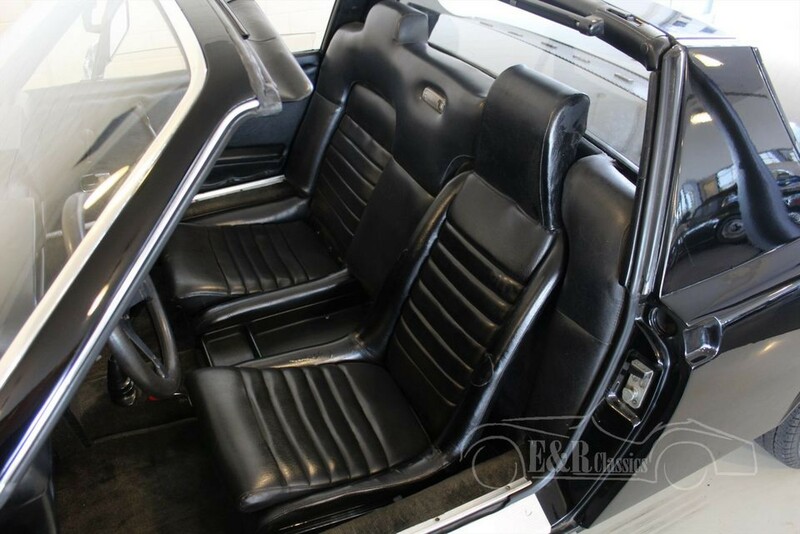 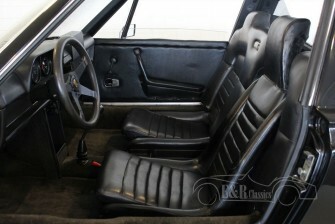 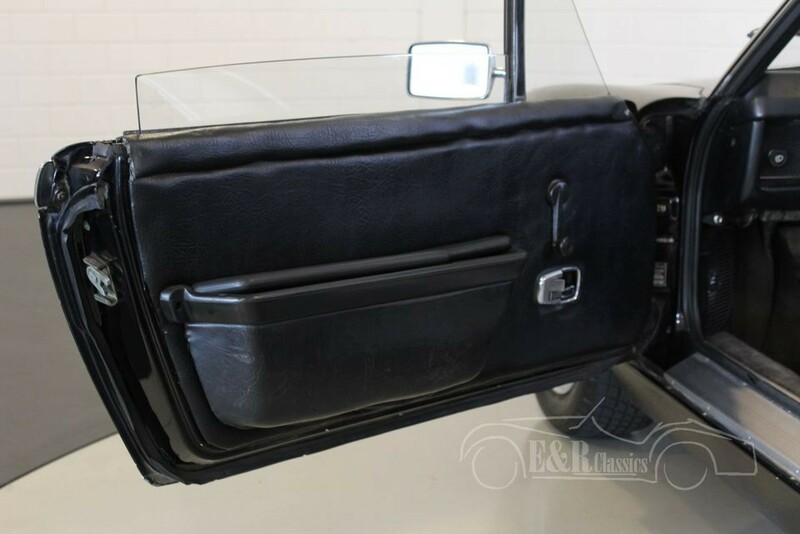 The interior has bucket seats in black leather. 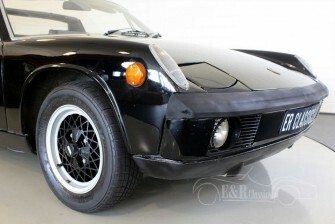 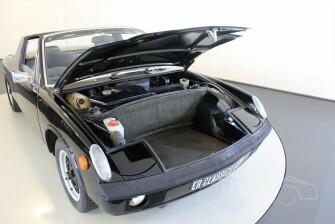 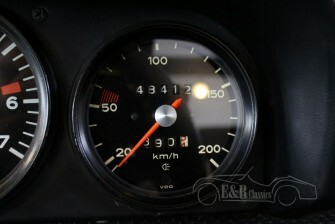 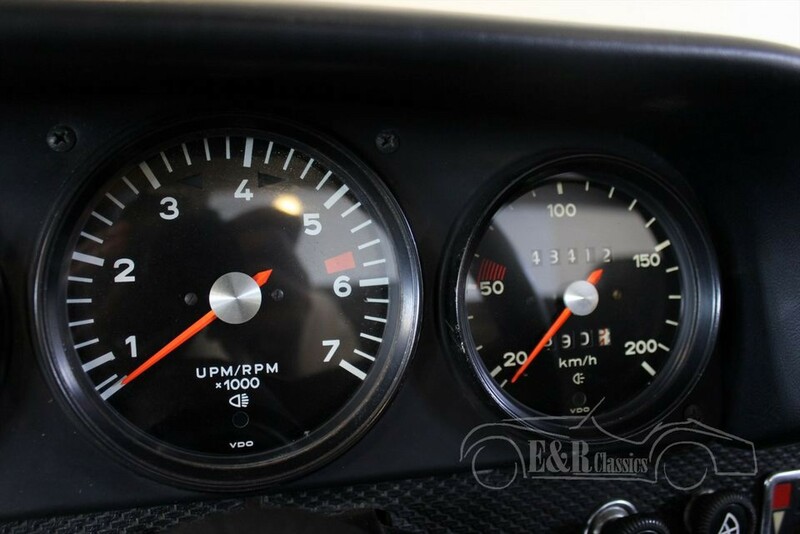 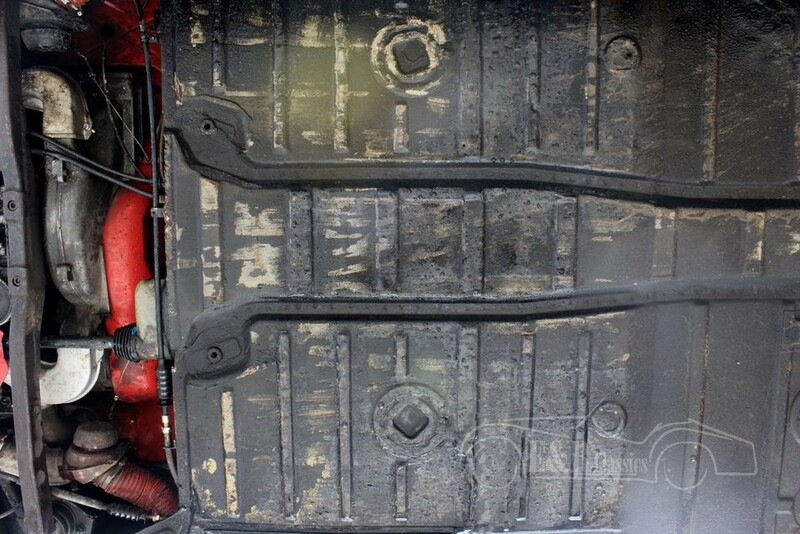 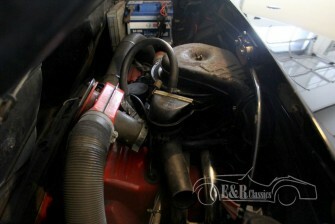 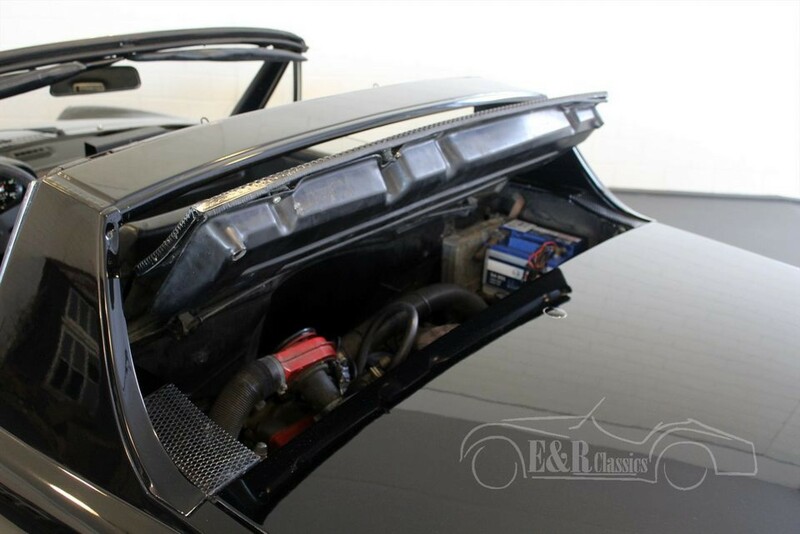 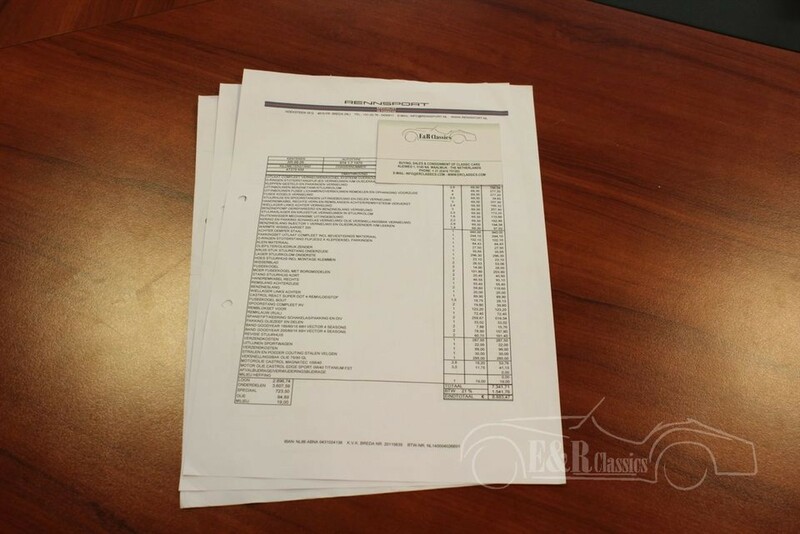 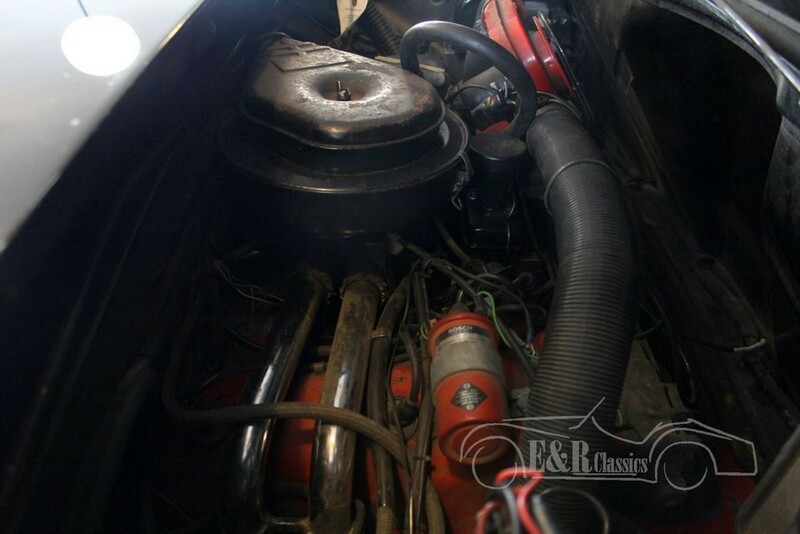 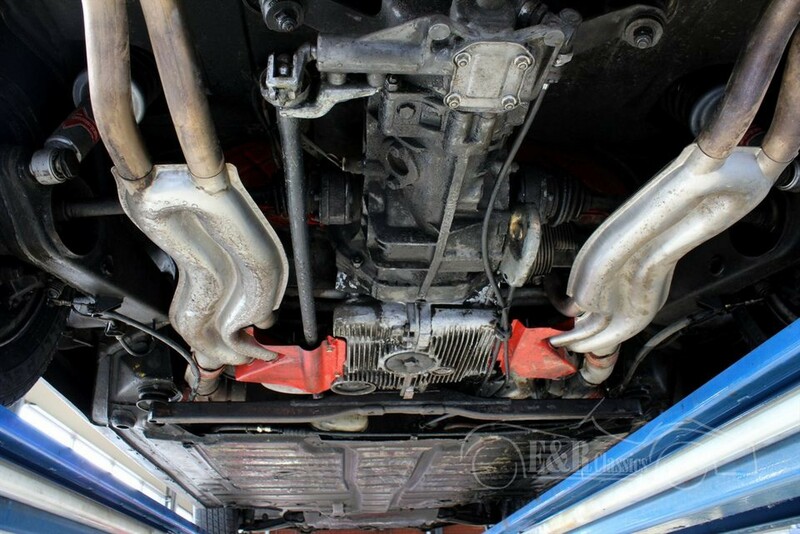 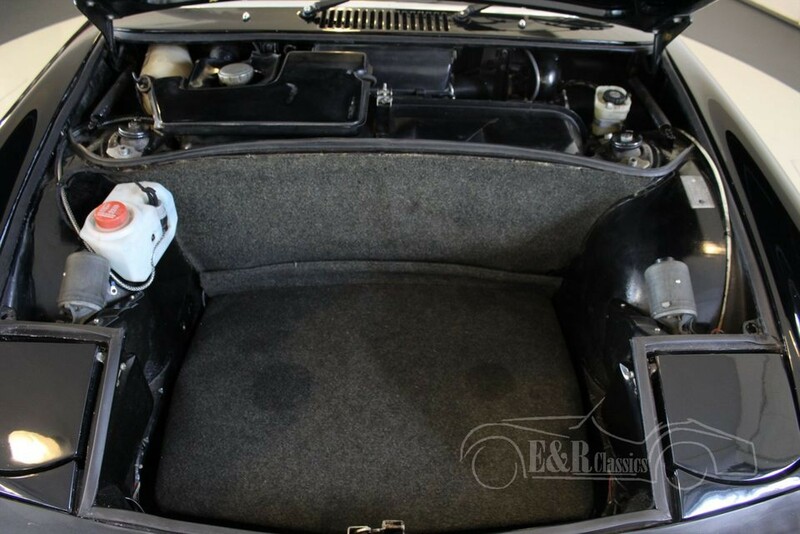 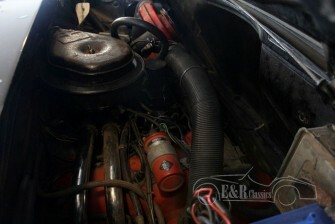 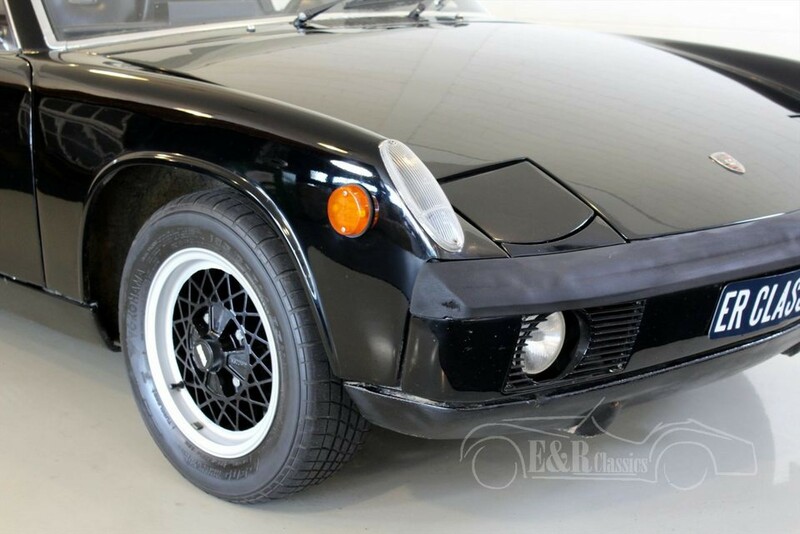 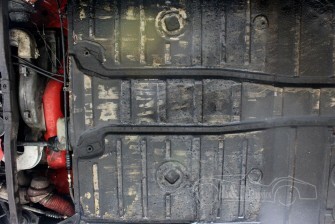 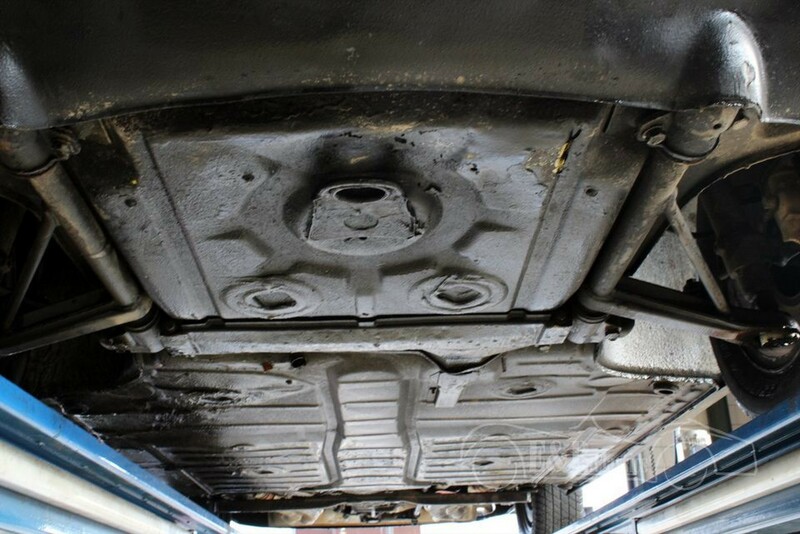 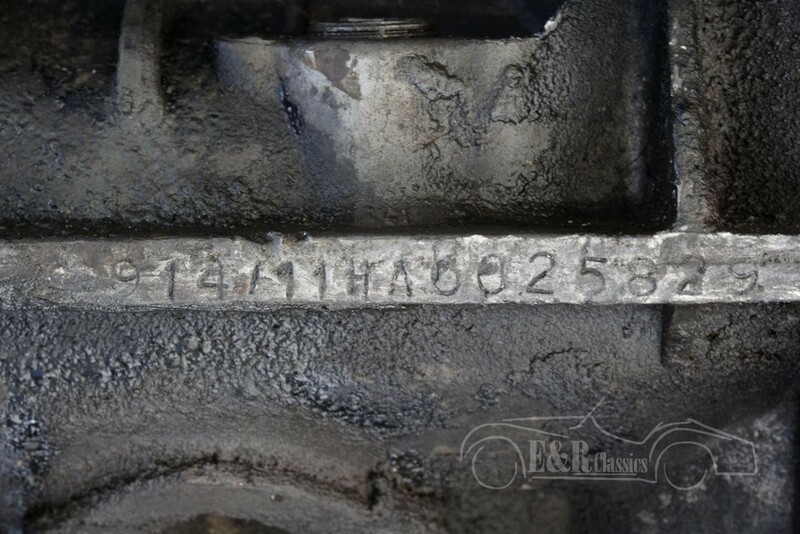 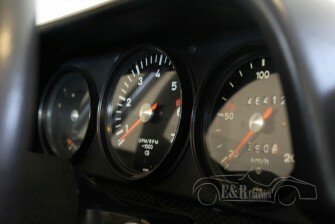 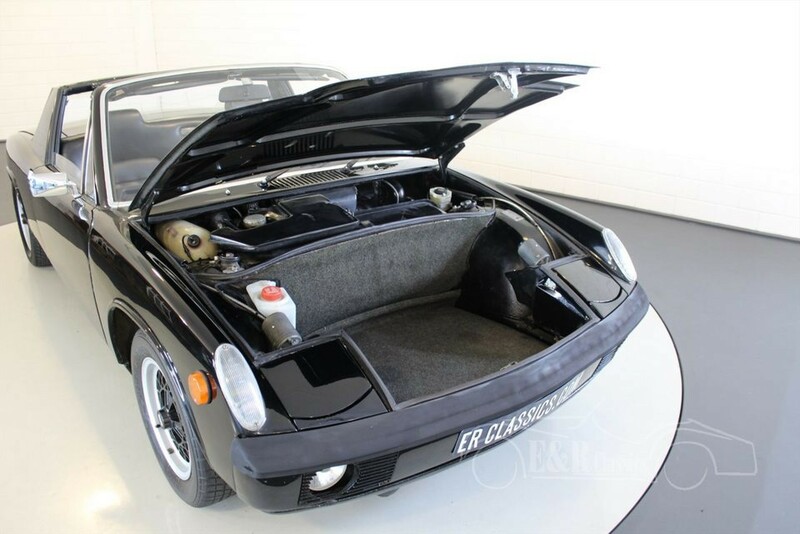 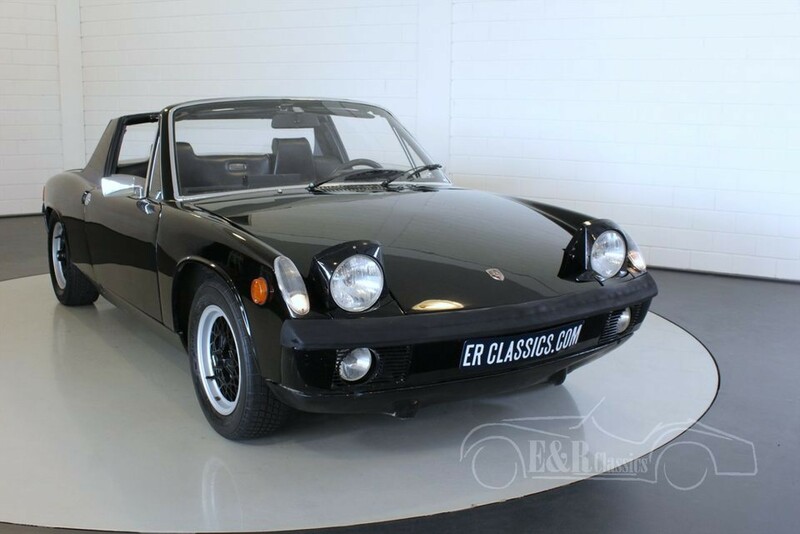 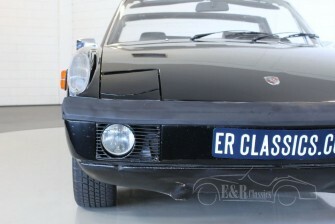 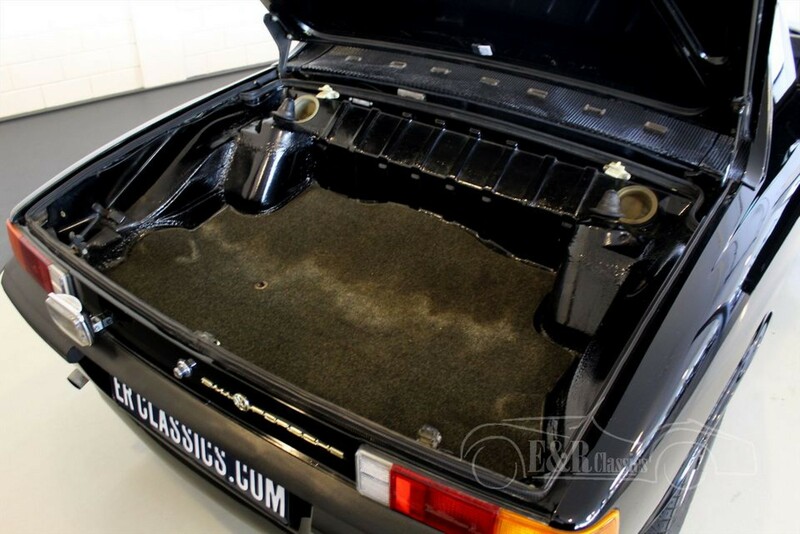 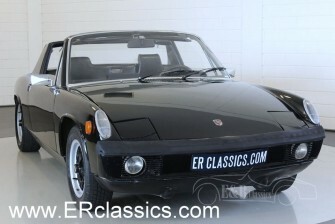 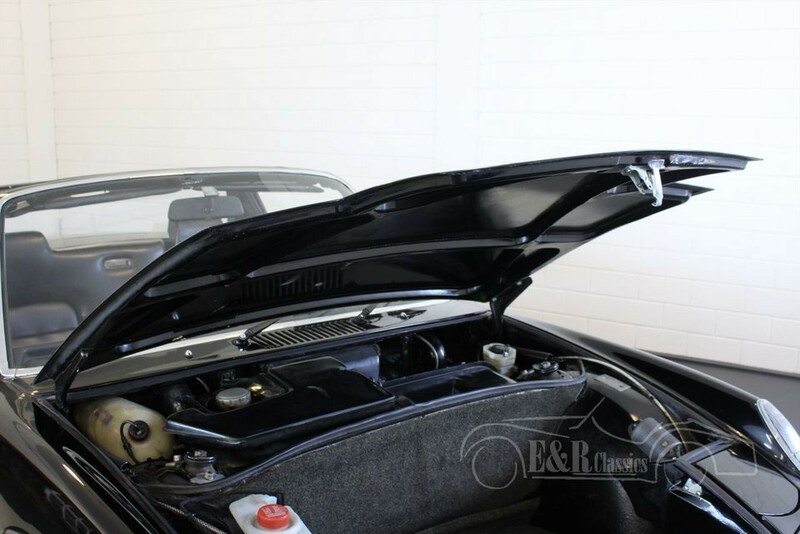 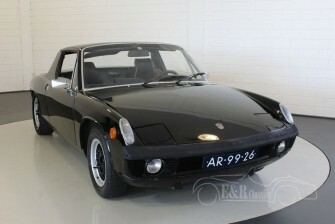 The Porsche 914 has a 1679 CC injection midengine with 80 HP. 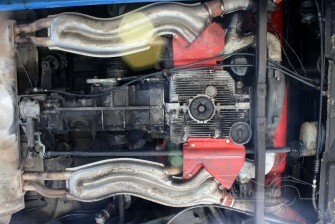 The midengine makes the car drive very sporty. 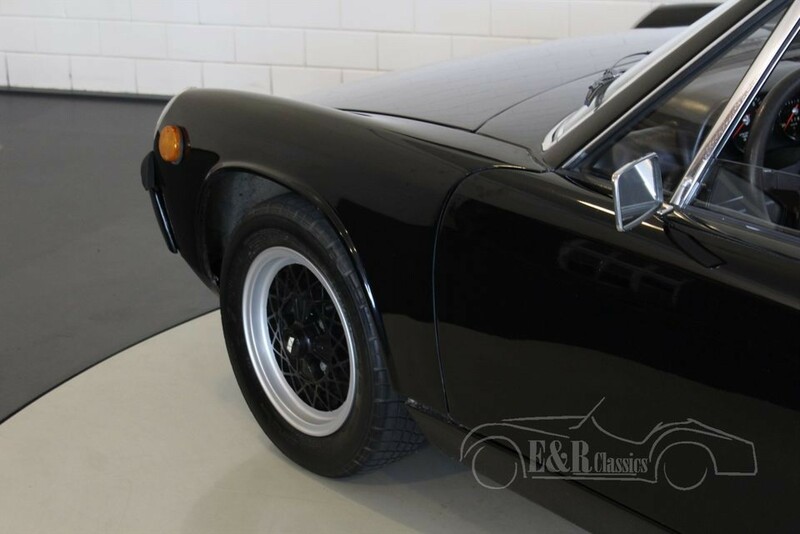 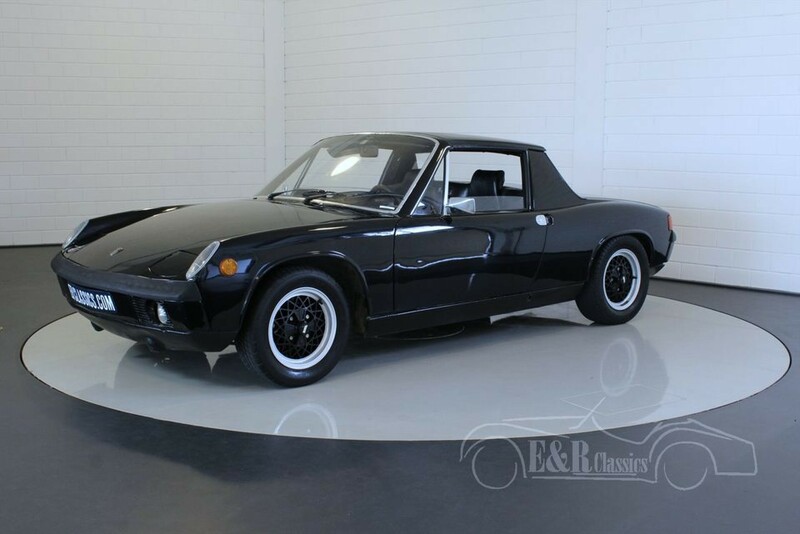 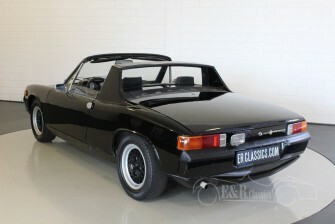 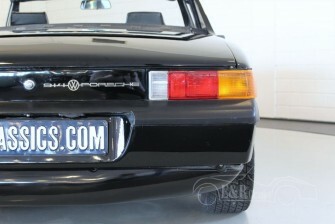 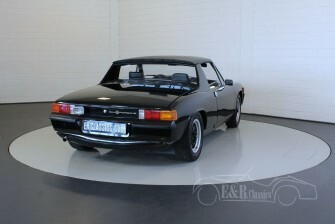 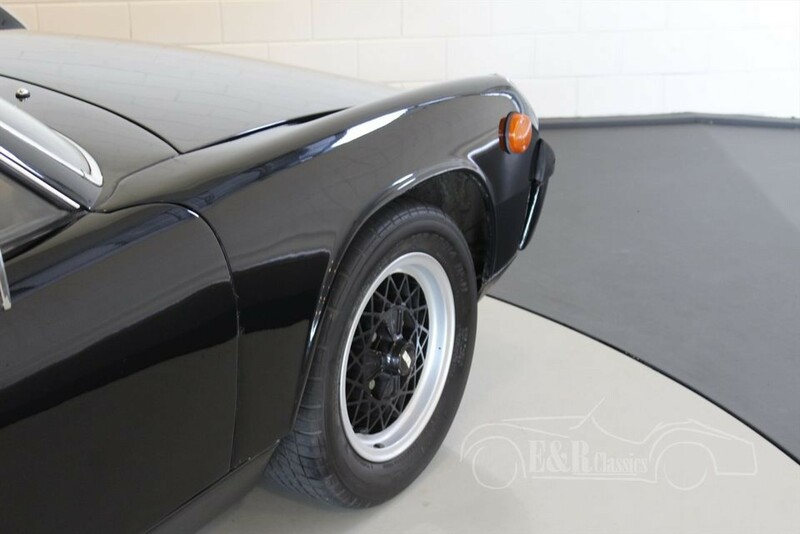 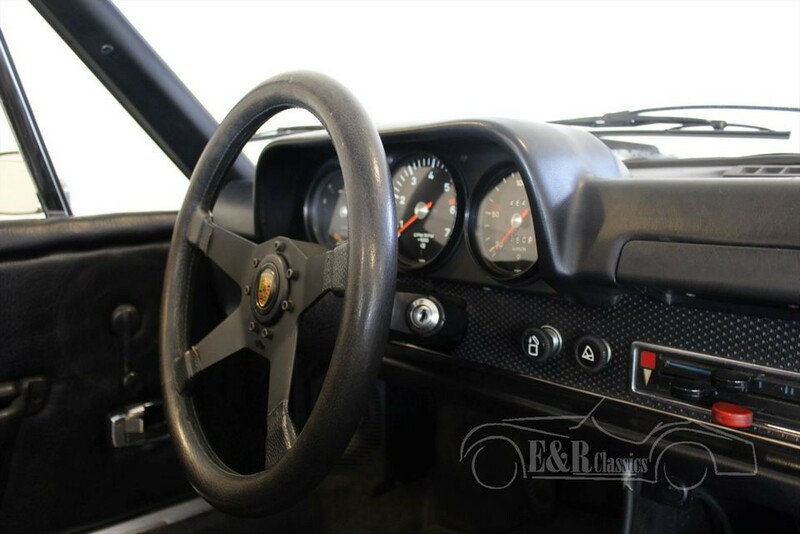 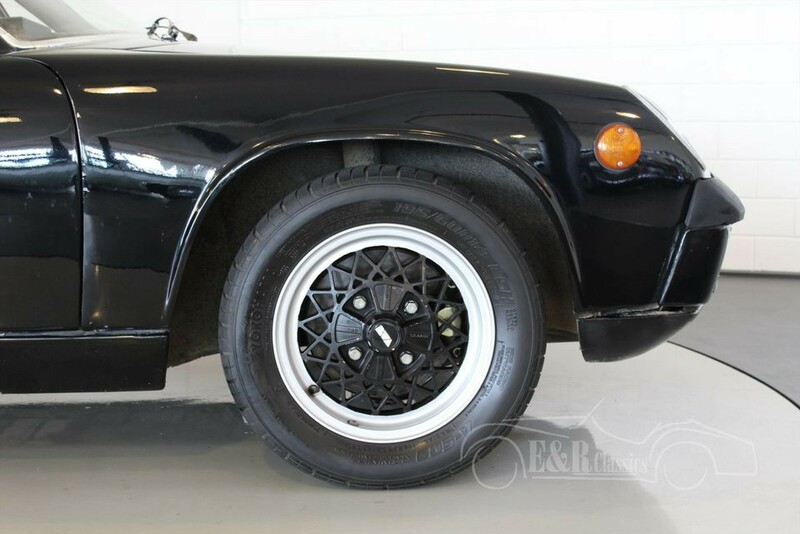 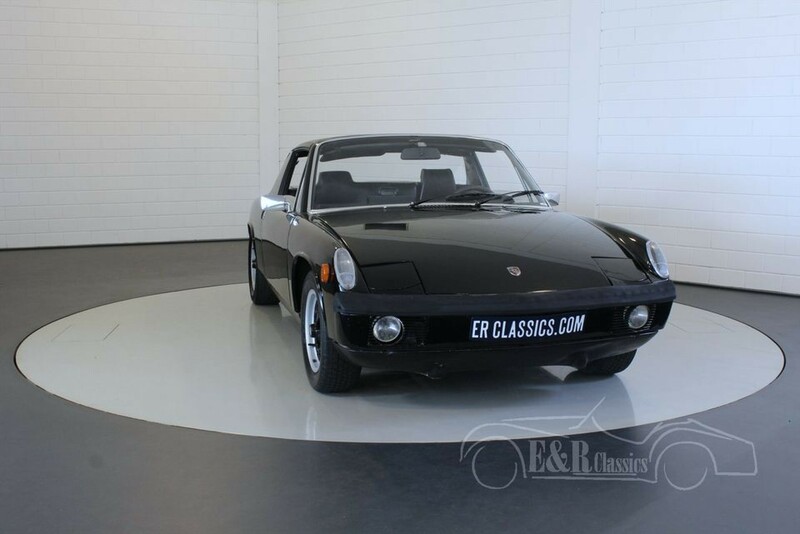 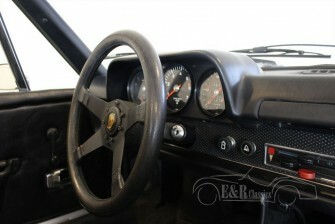 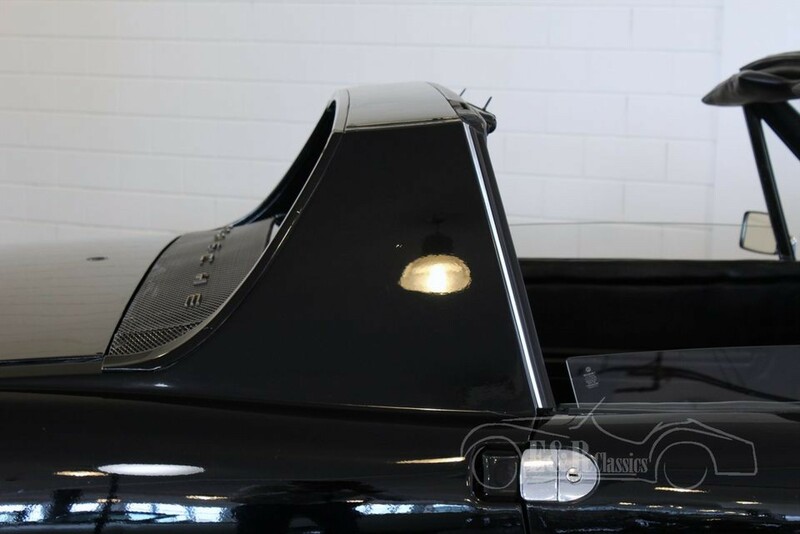 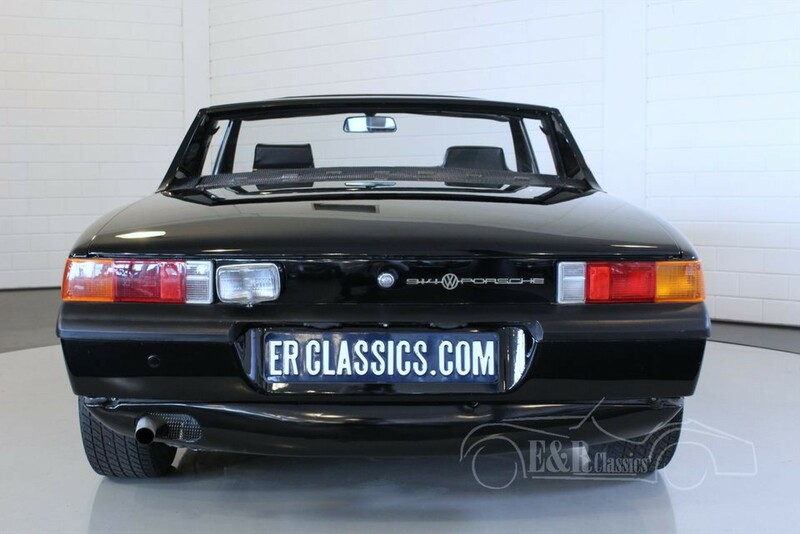 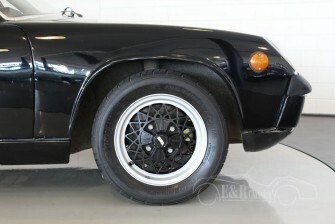 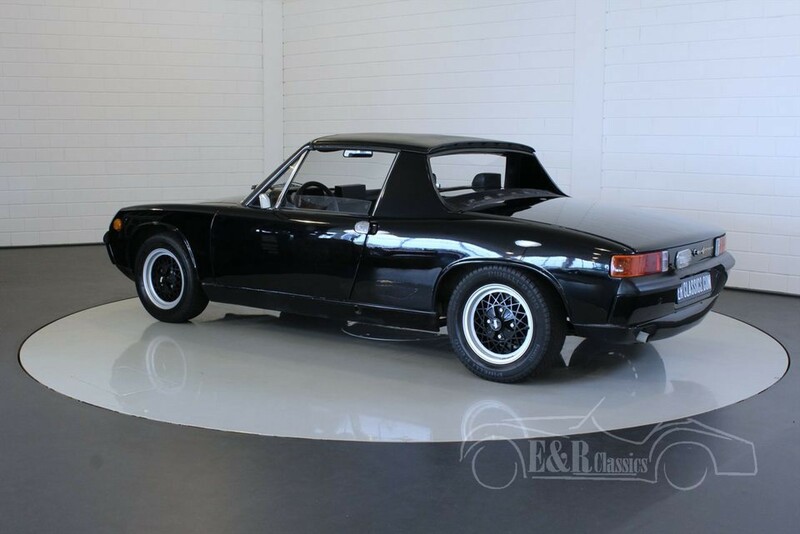 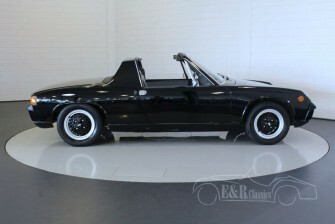 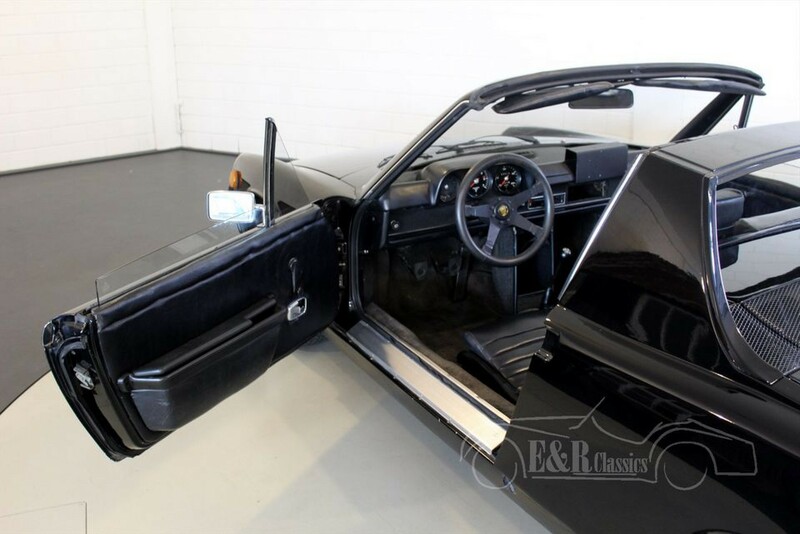 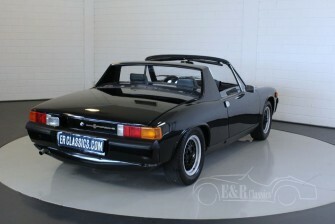 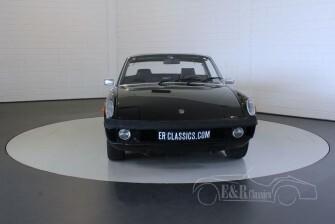 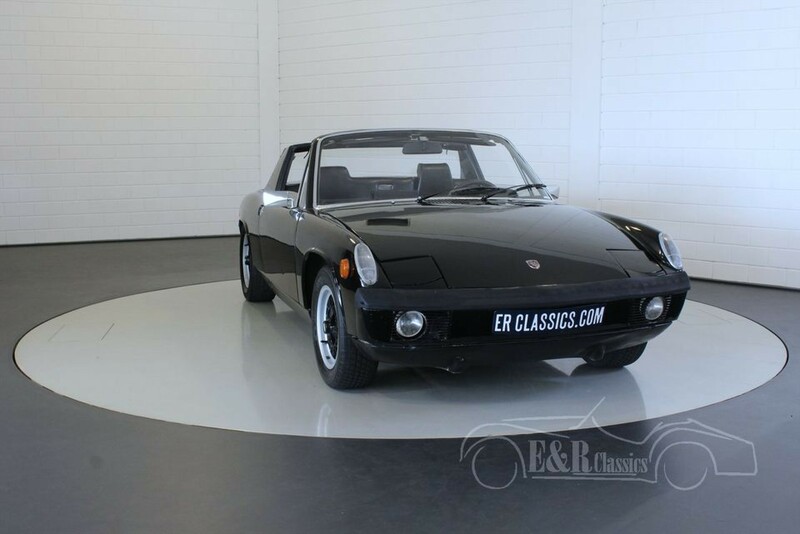 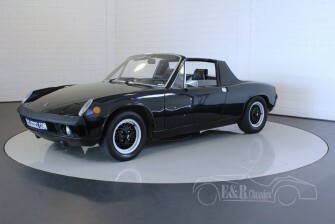 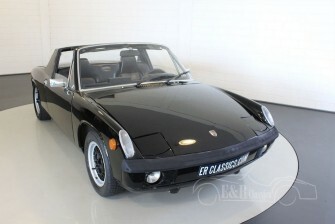 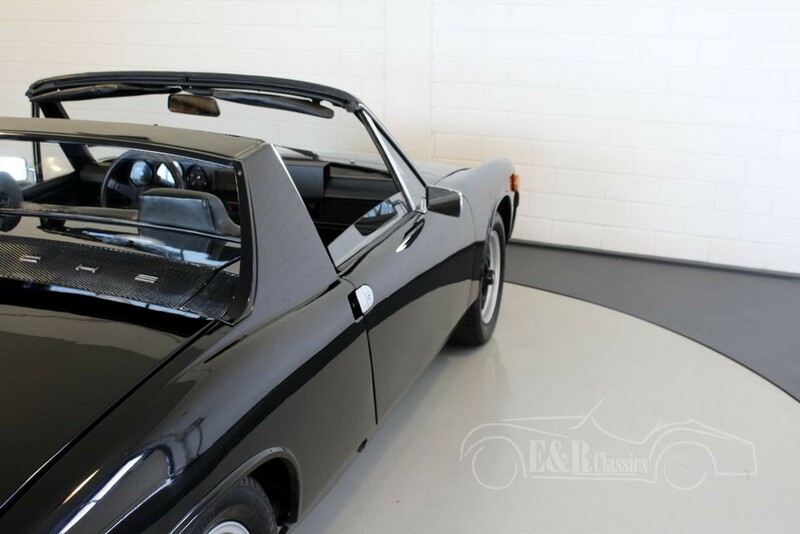 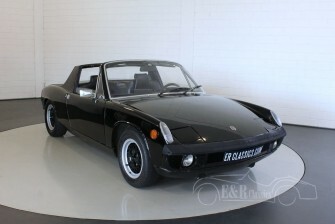 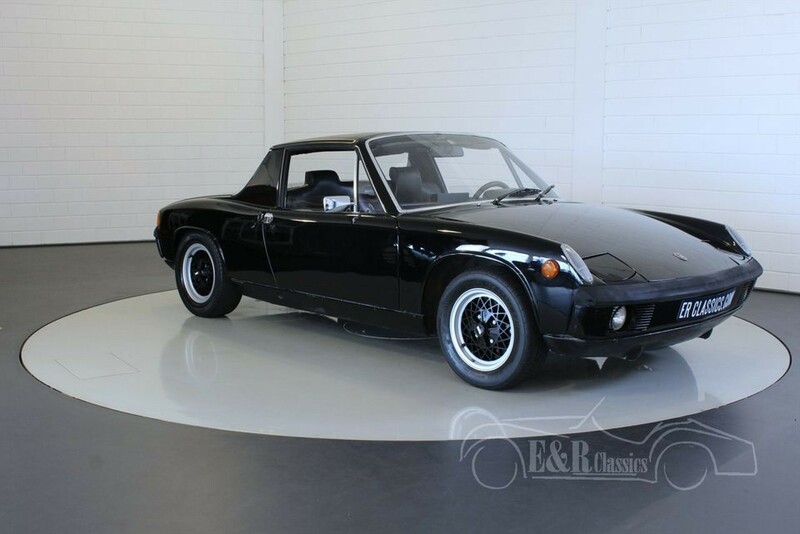 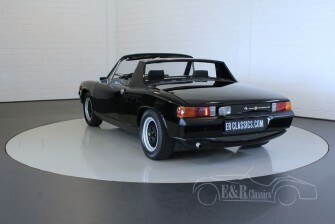 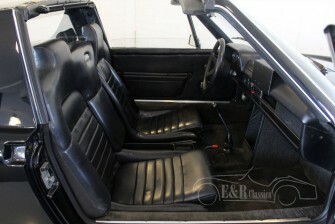 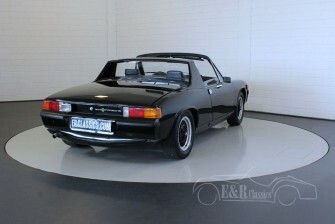 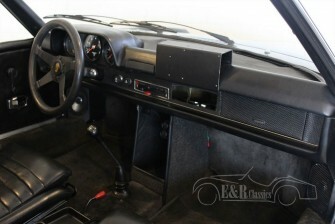 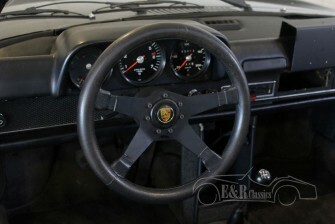 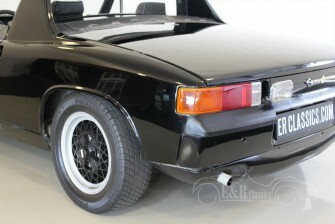 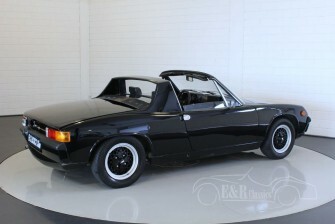 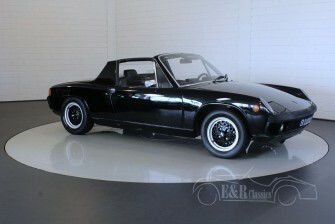 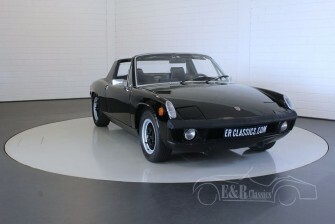 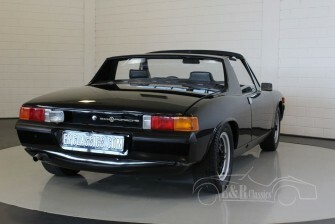 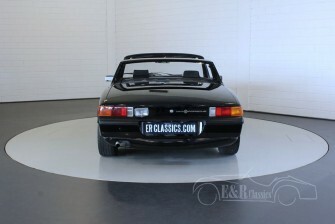 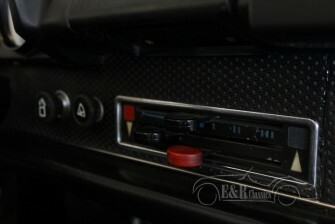 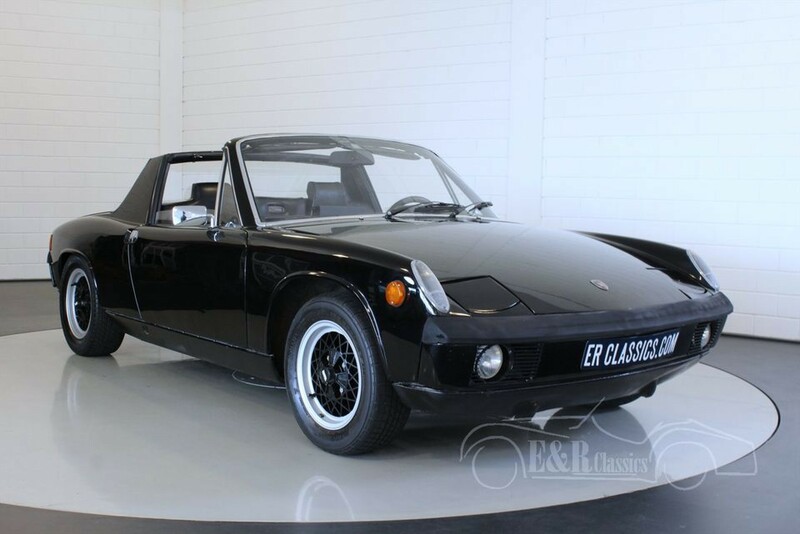 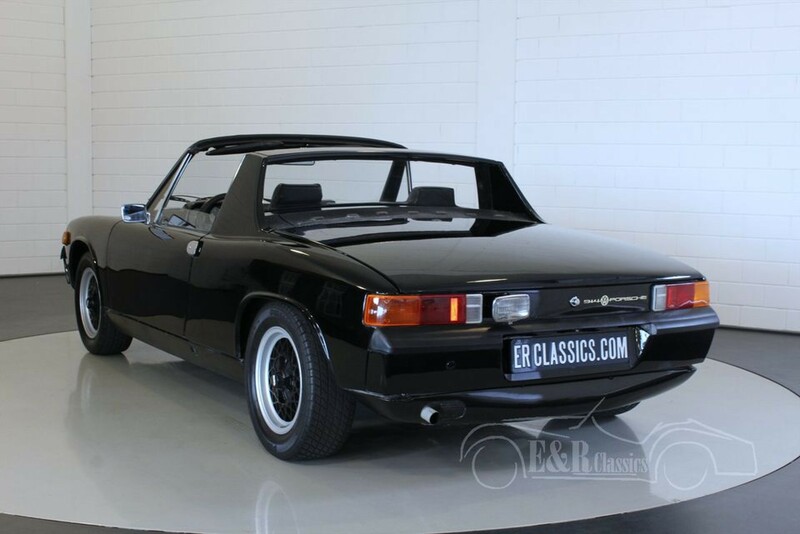 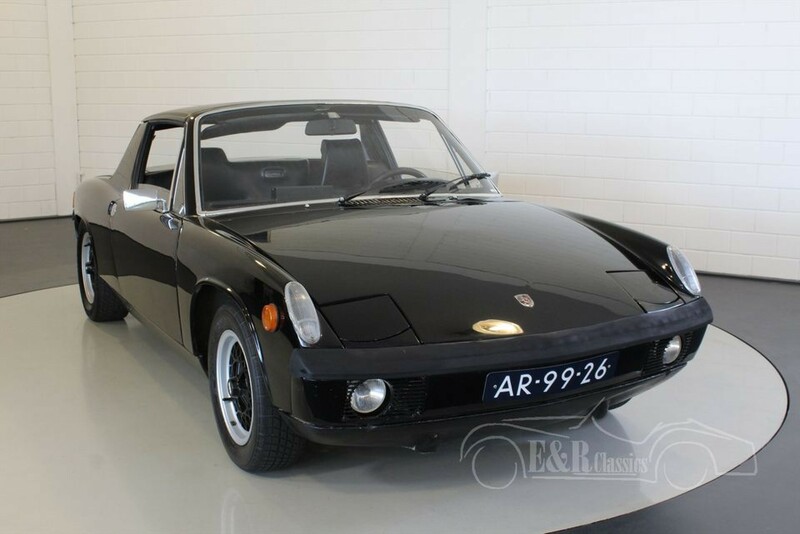 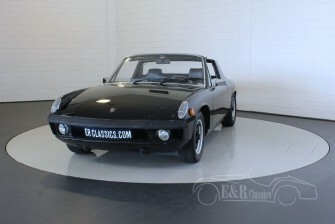 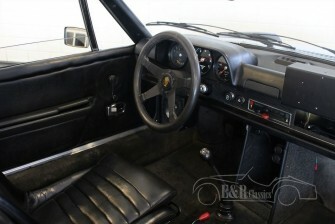 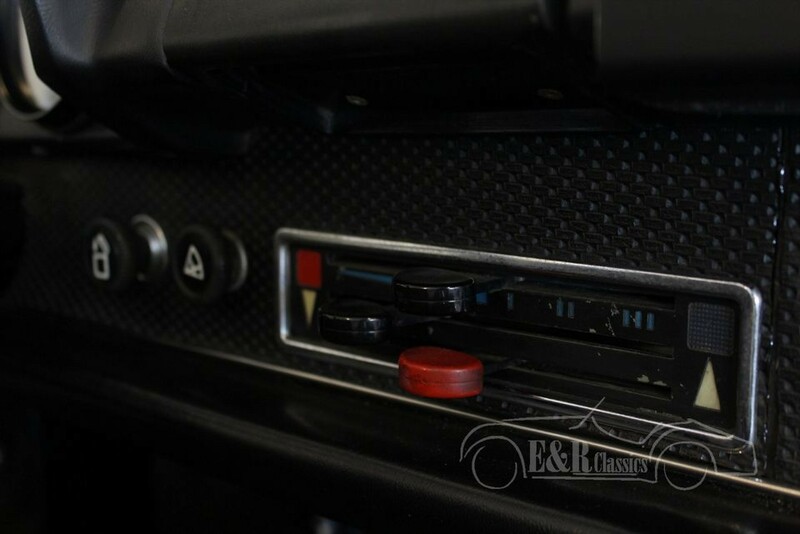 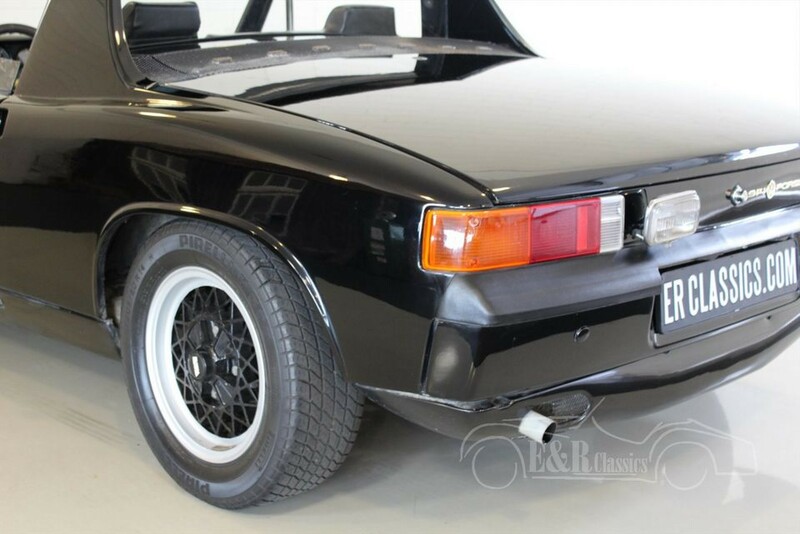 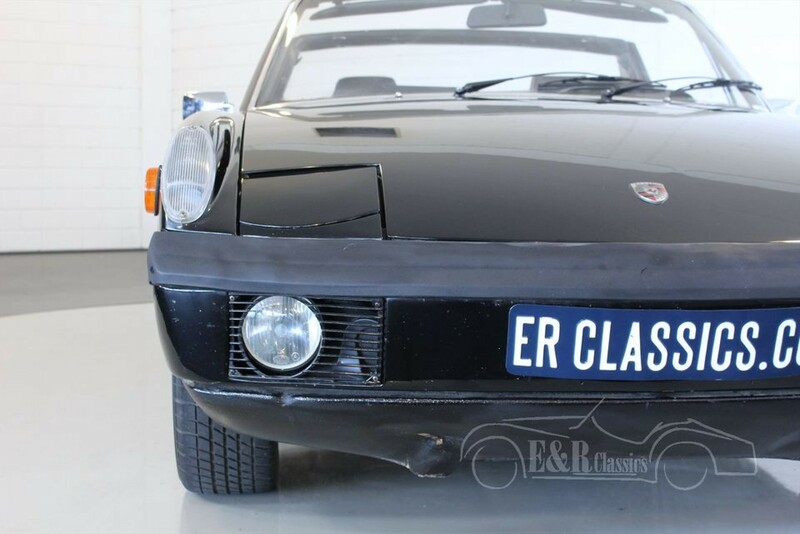 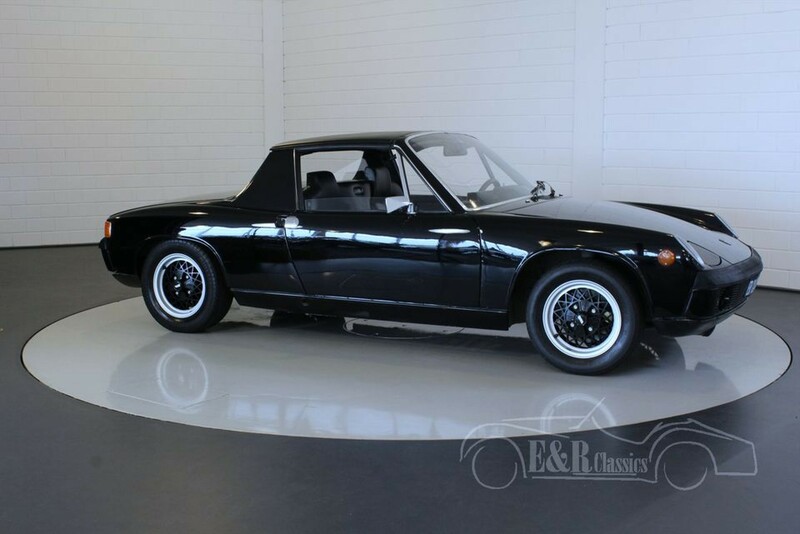 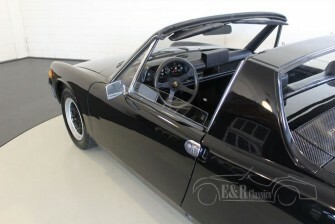 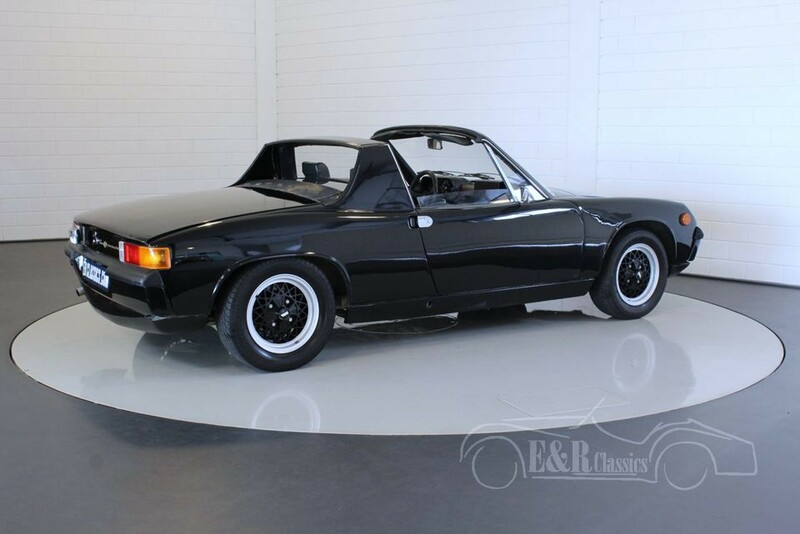 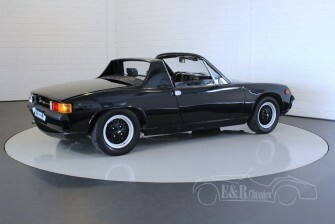 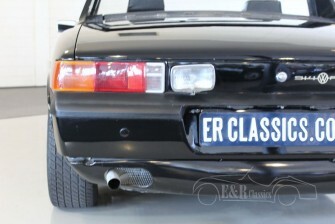 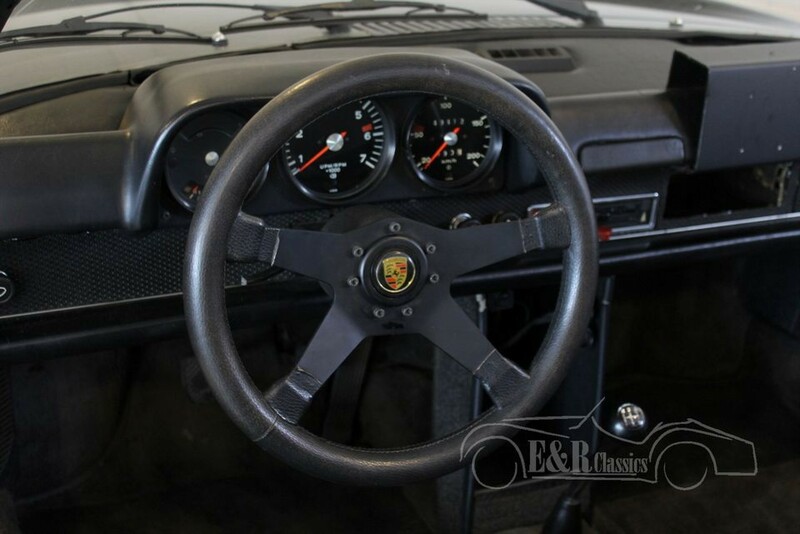 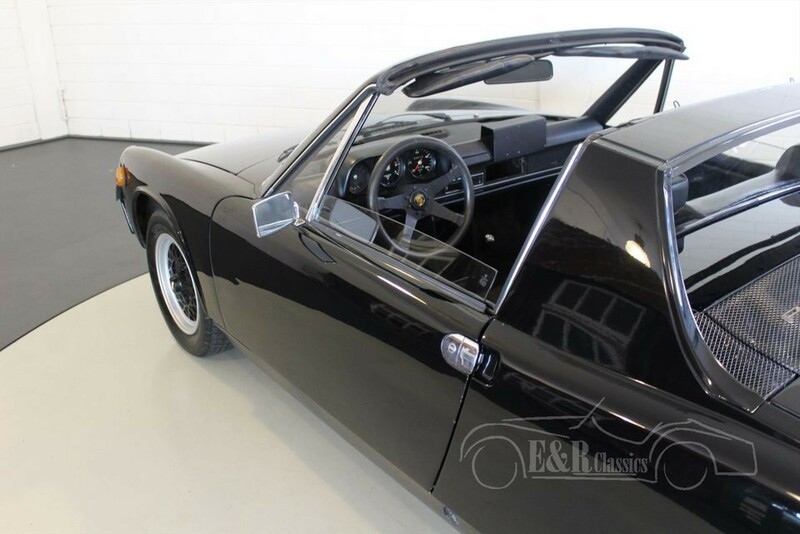 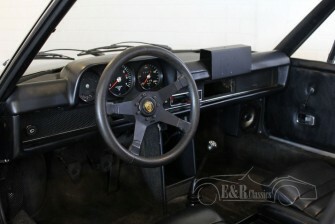 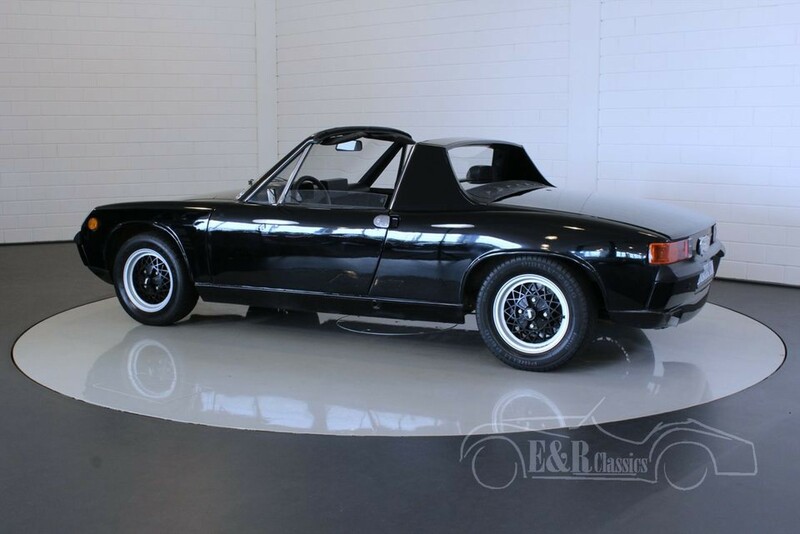 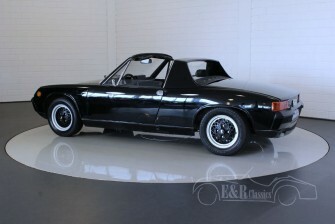 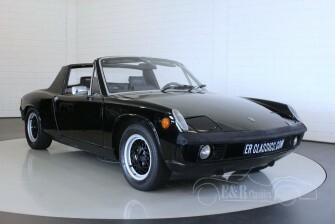 The Porsche 914 is not only sporty, but also comfortable for lots of driving fun.